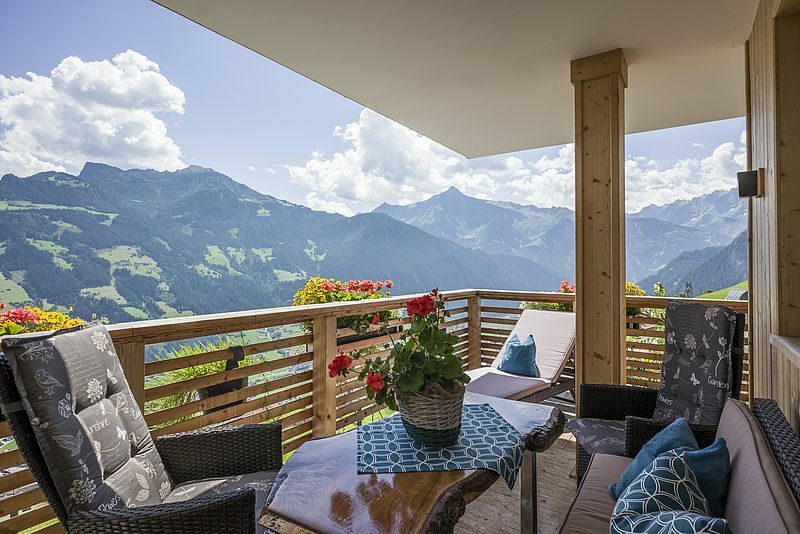 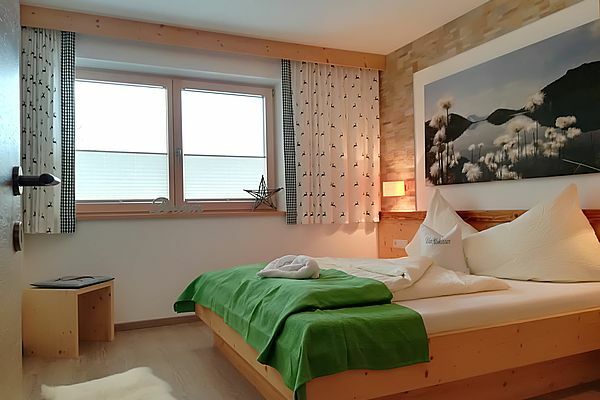 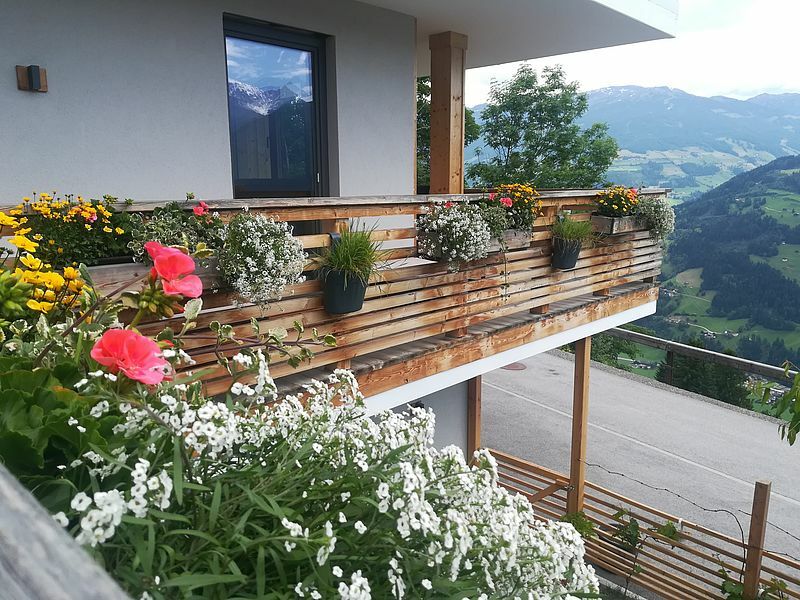 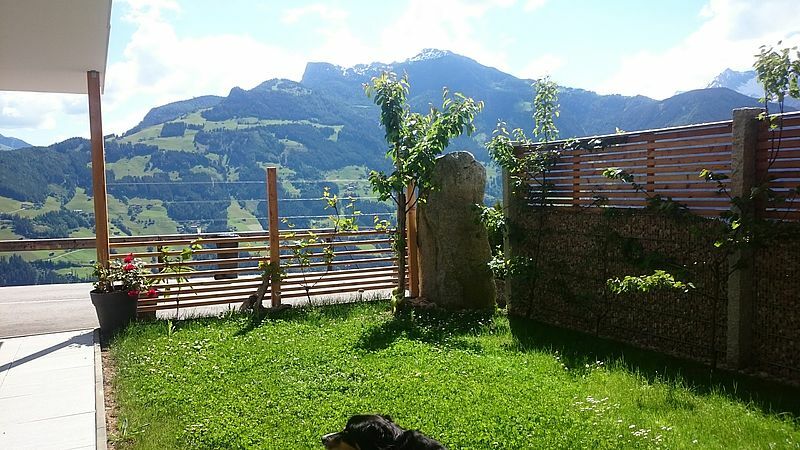 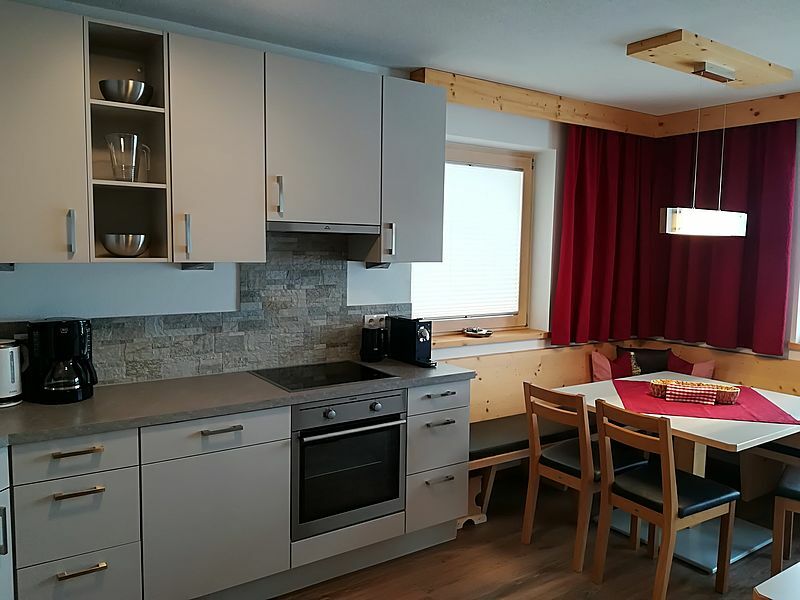 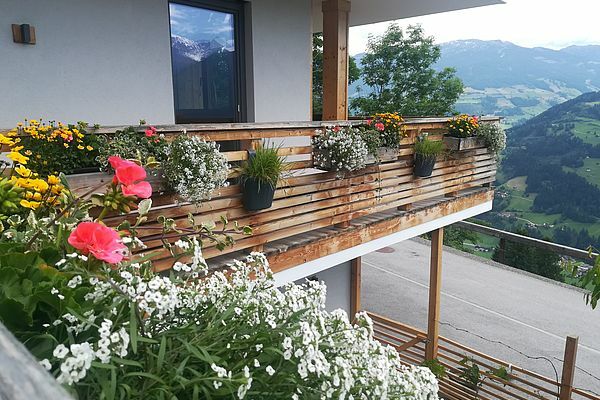 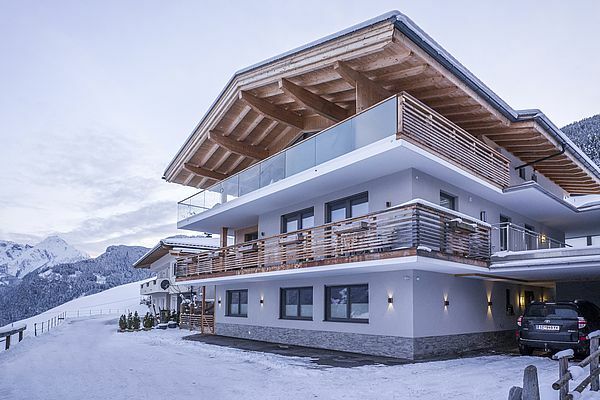 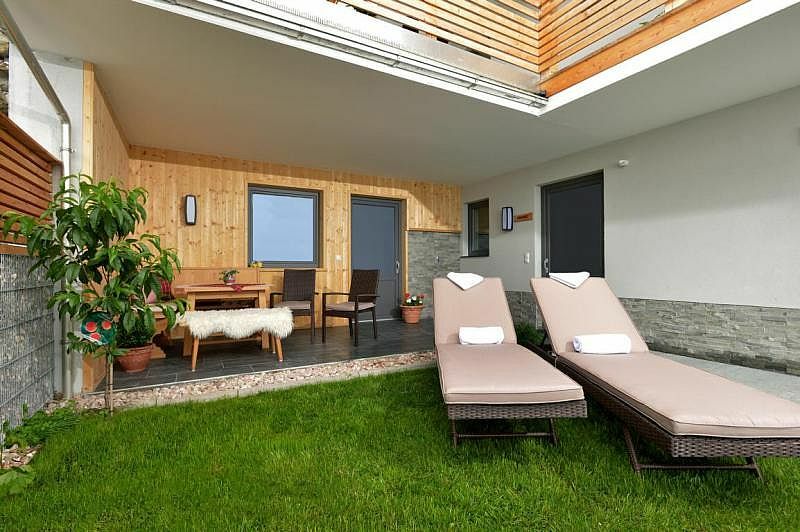 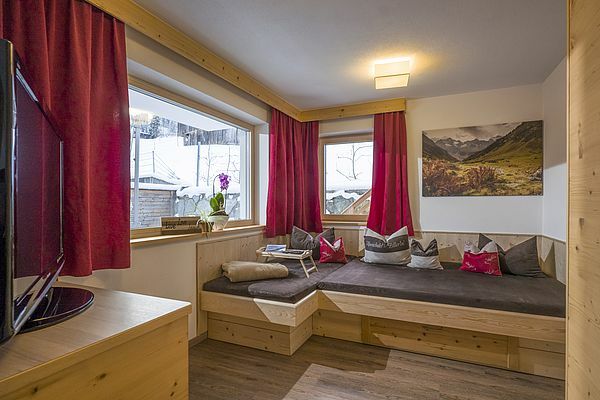 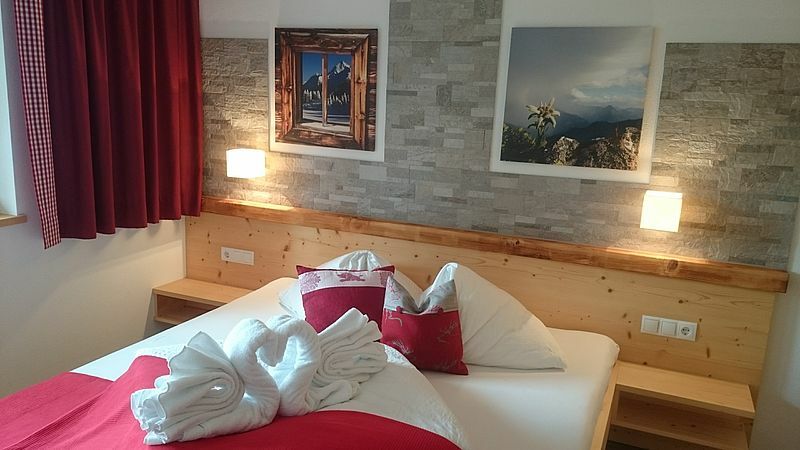 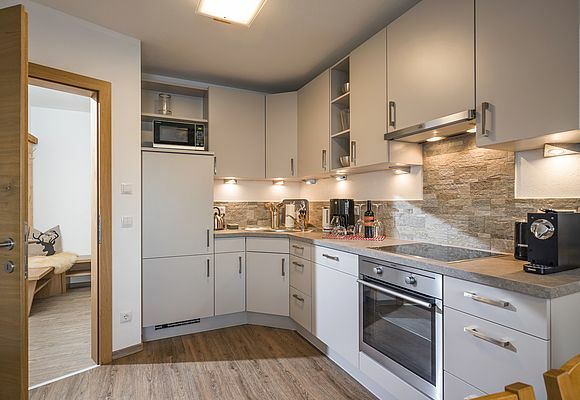 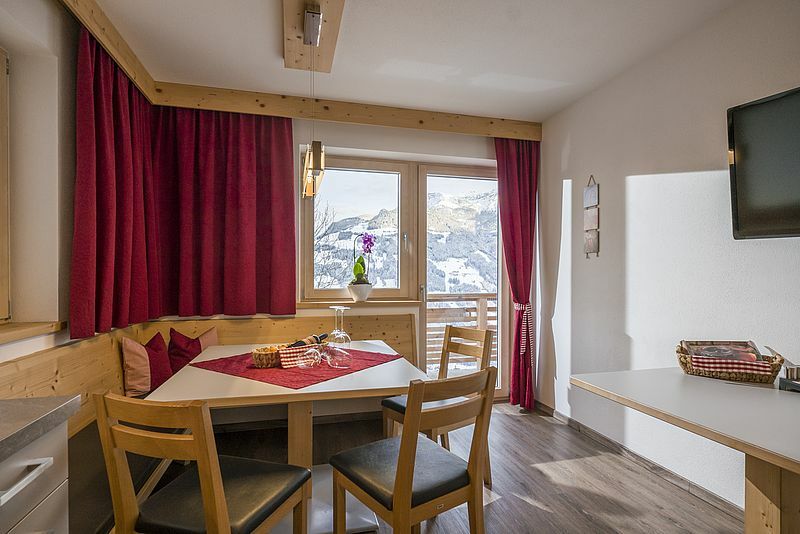 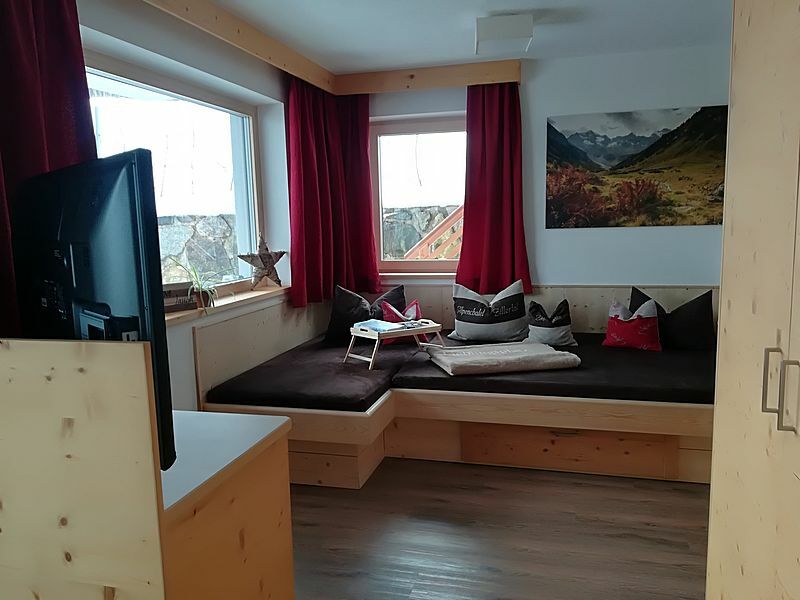 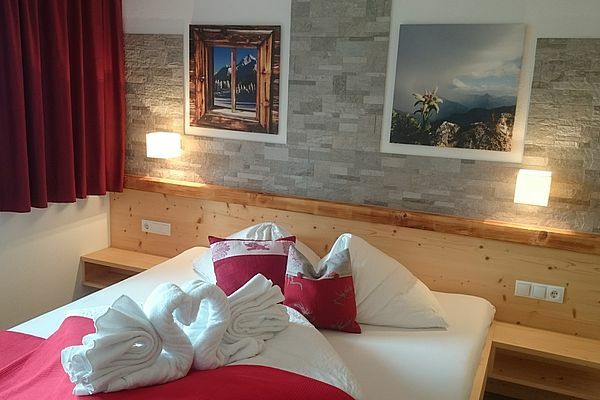 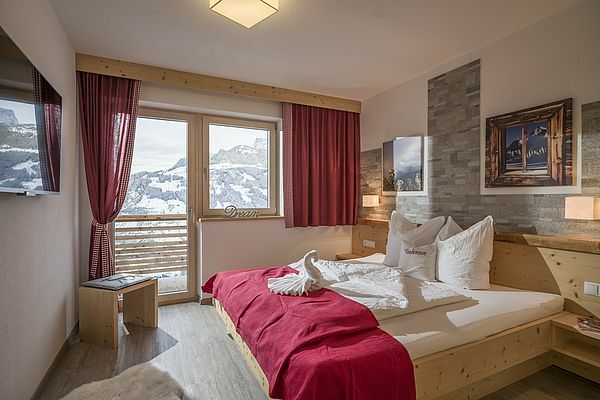 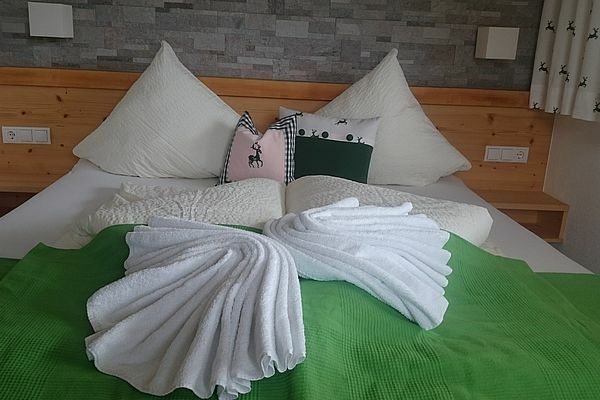 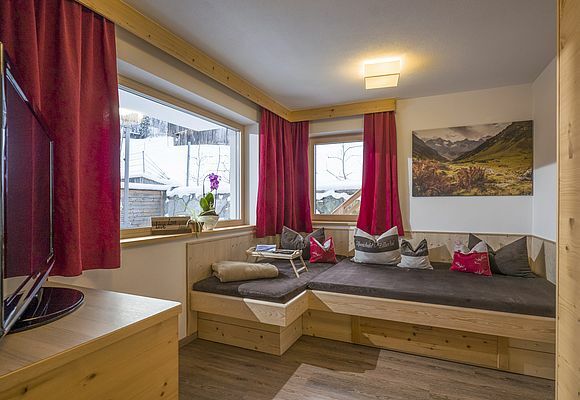 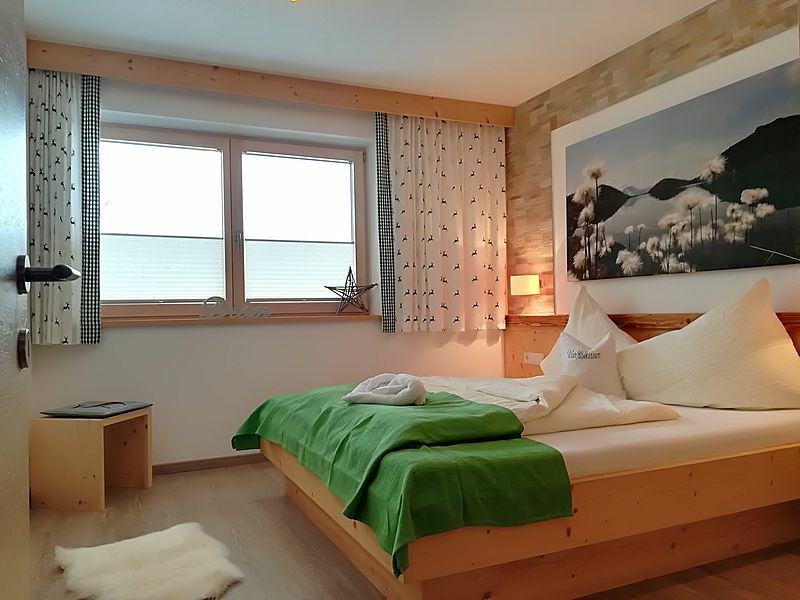 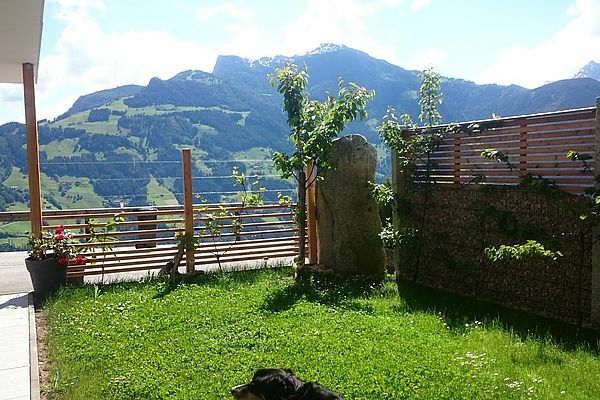 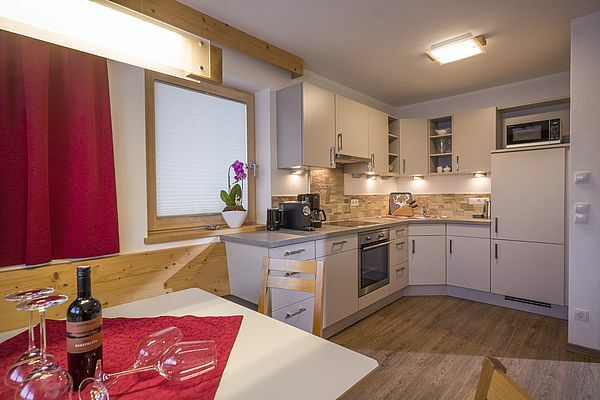 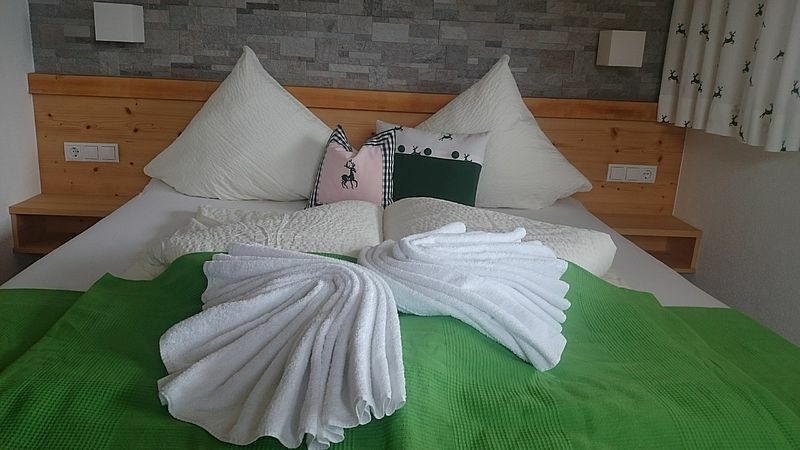 After only a few days in this holiday apartment, you will feel like a Zillertal mountain crystal - strong and magnificent. 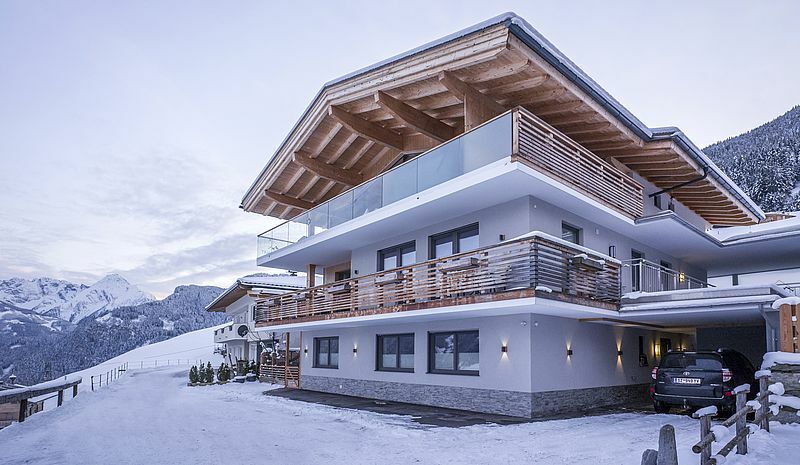 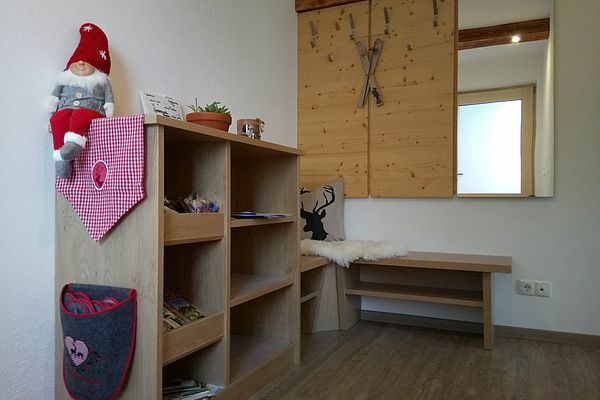 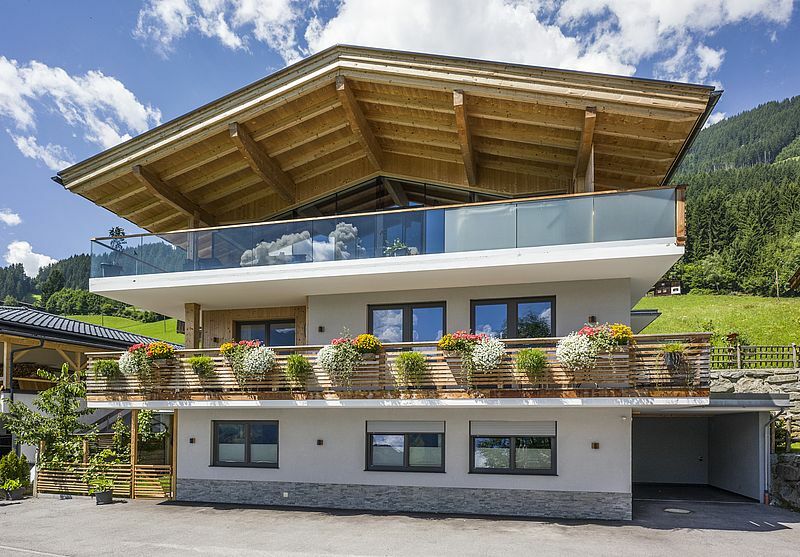 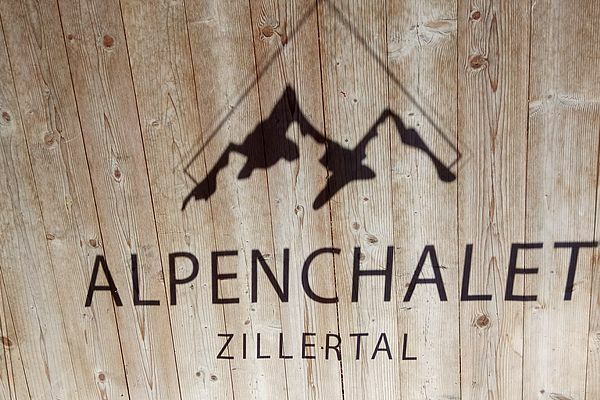 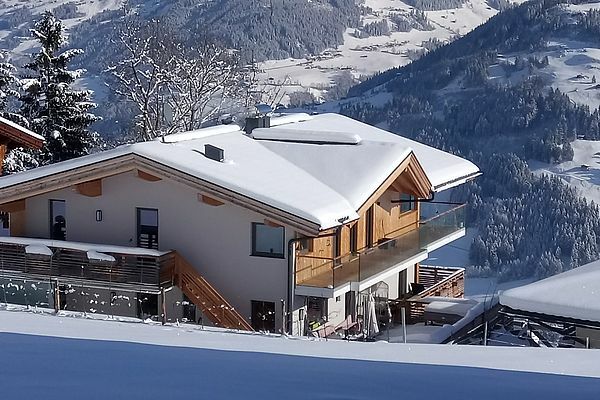 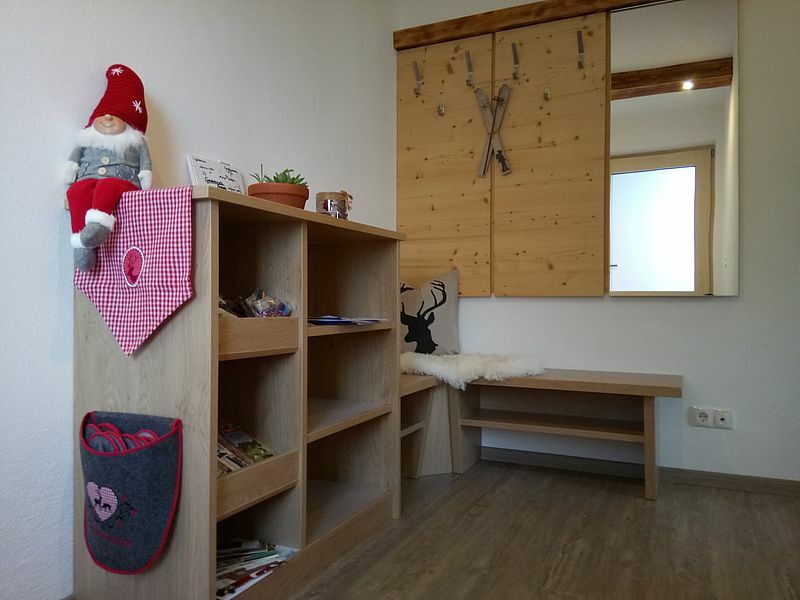 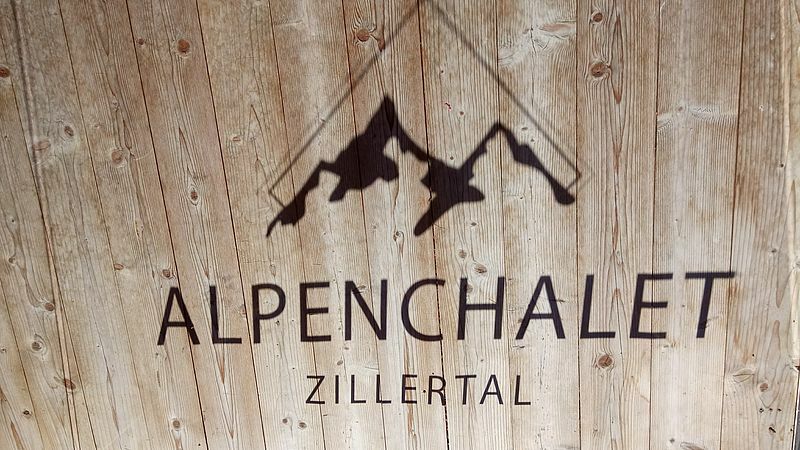 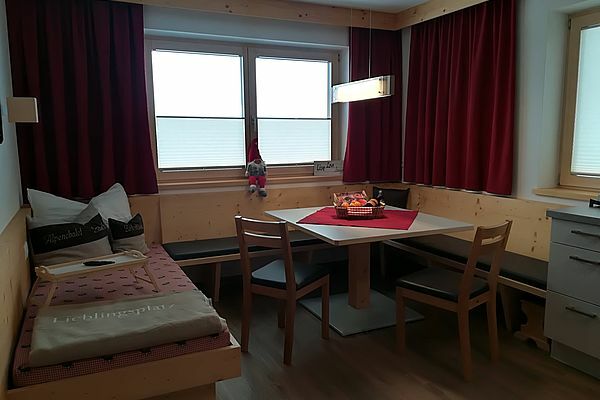 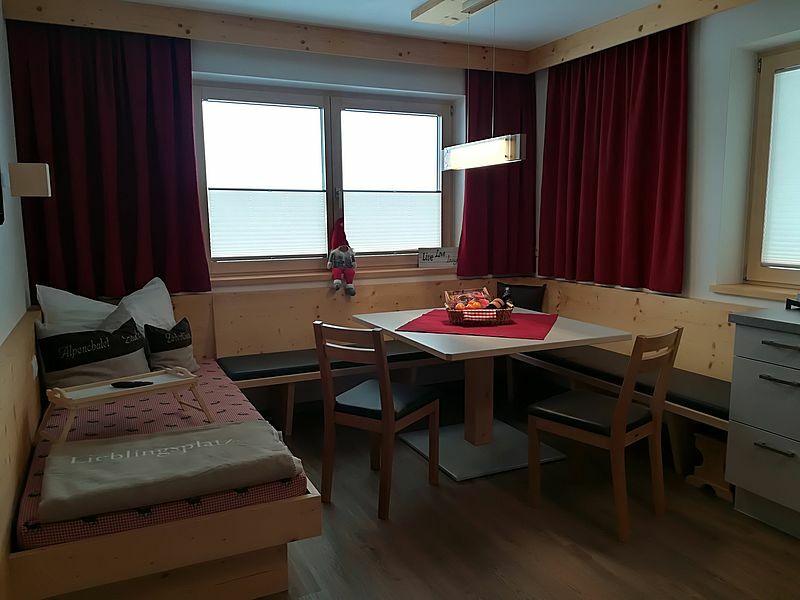 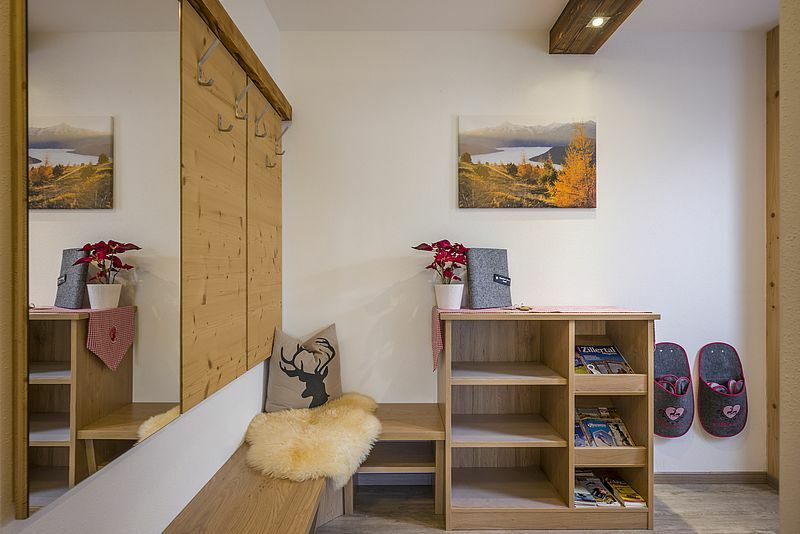 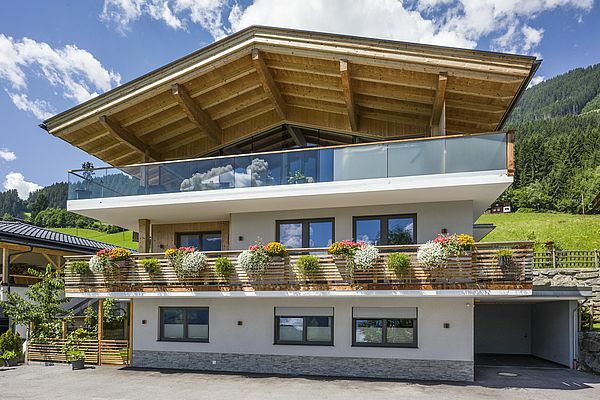 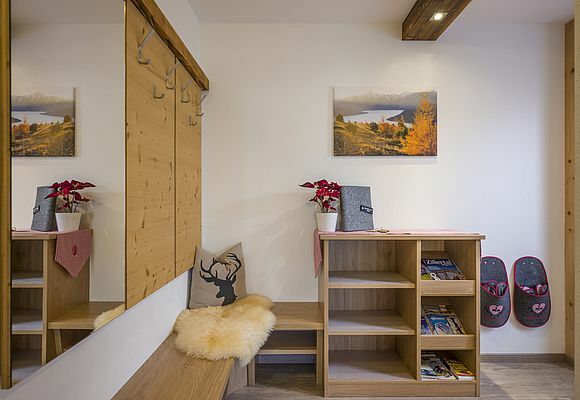 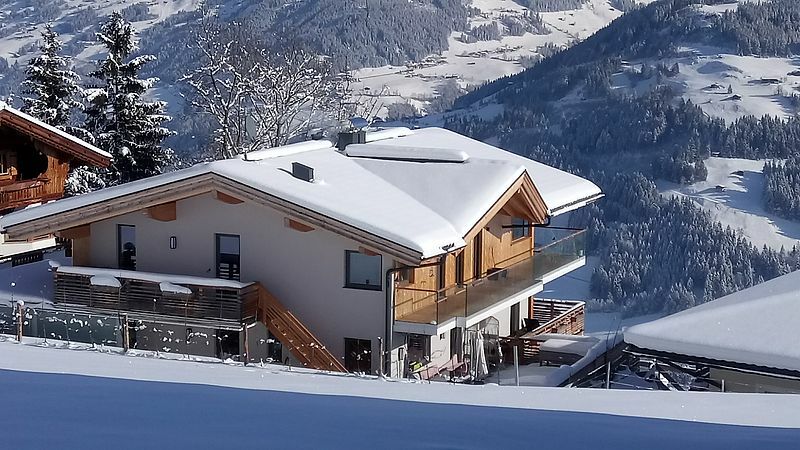 The apartment is on the first floor of the Alpenchalet. 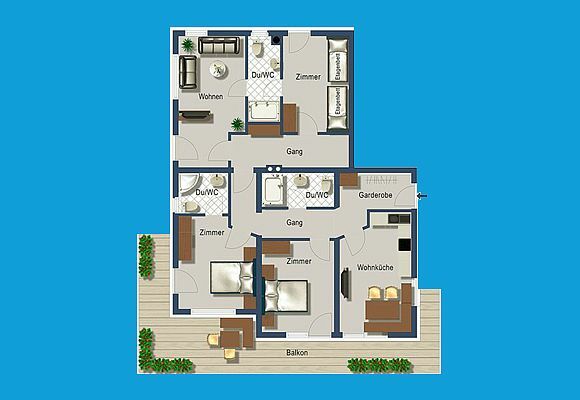 The entrance is on the north side with a coat hanging space and a spacious kitchen/living room. Both double bedrooms are east-facing with an adjoining bathroom with rainfall shower and WC. 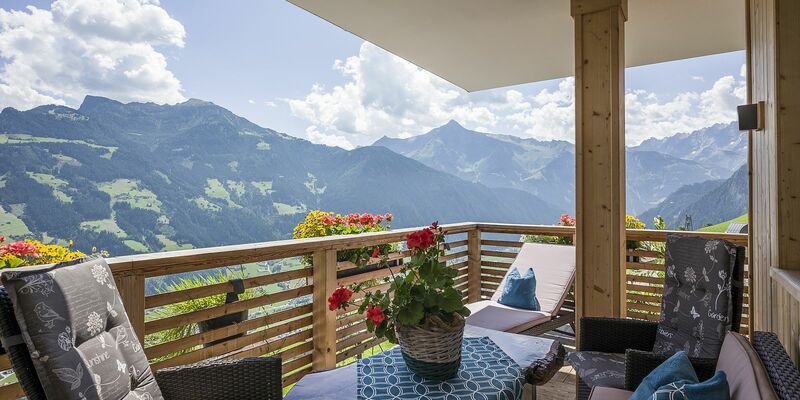 The bedrooms lead directly out onto a wide balcony with simply incredible views. 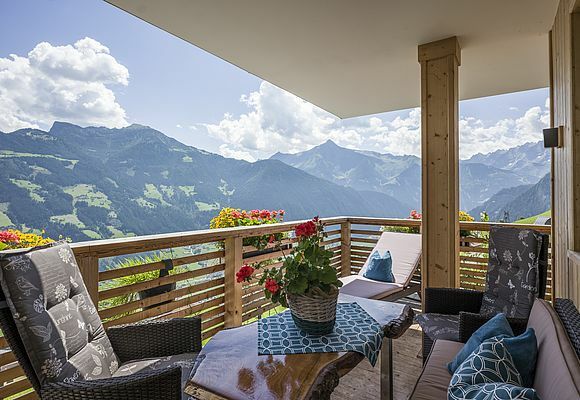 You will feel like you are in an eagle’s nest. 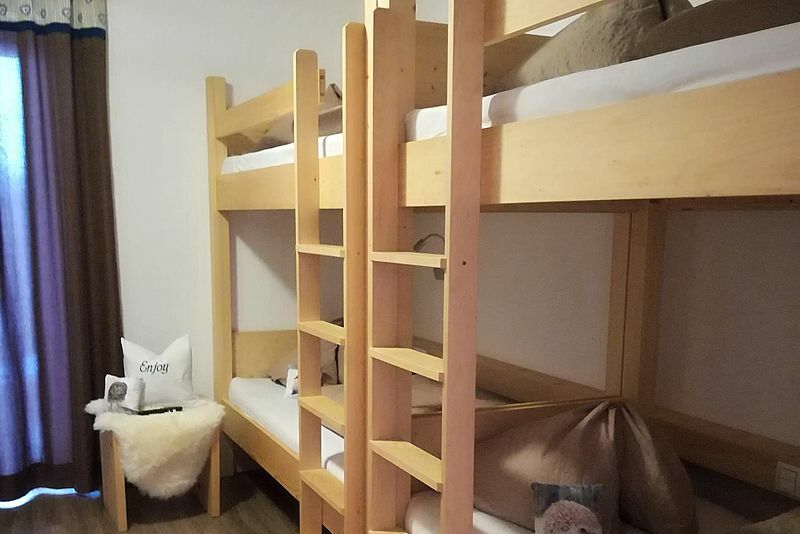 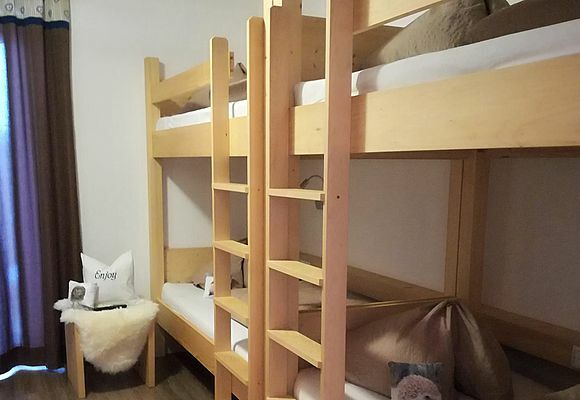 Another bedroom on the west side of the apartment is equipped with 2 bunk beds and is suited for up to 4 people. 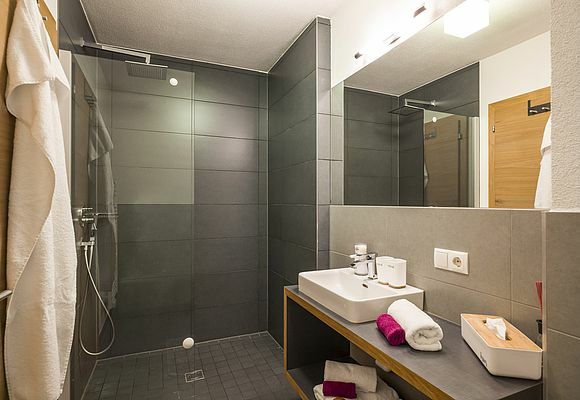 The bedroom has an adjoining bathroom with rainfall shower and WC. 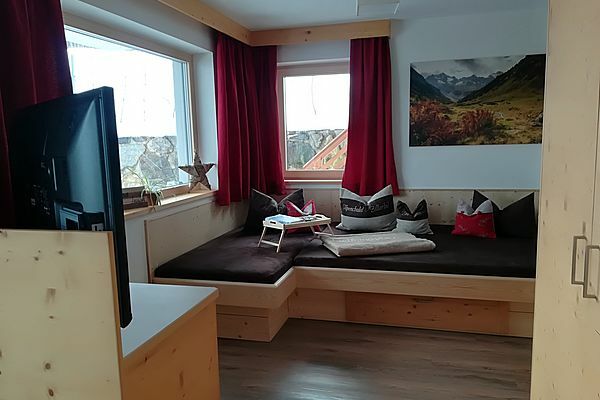 Next to it is a living room with a comfortable built-in couch. 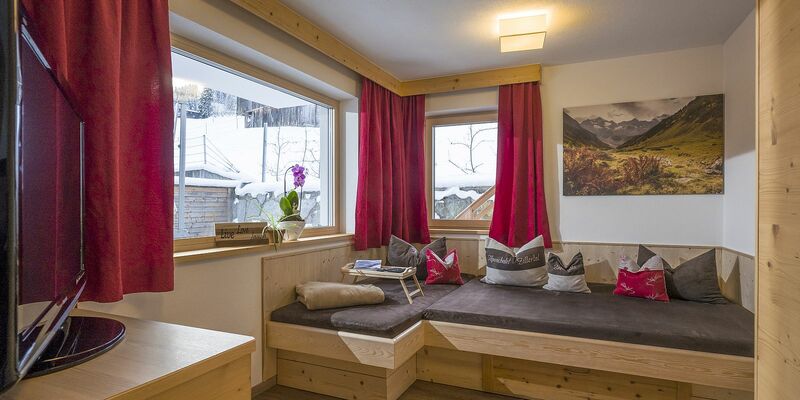 All bedrooms have direct access to the outside. 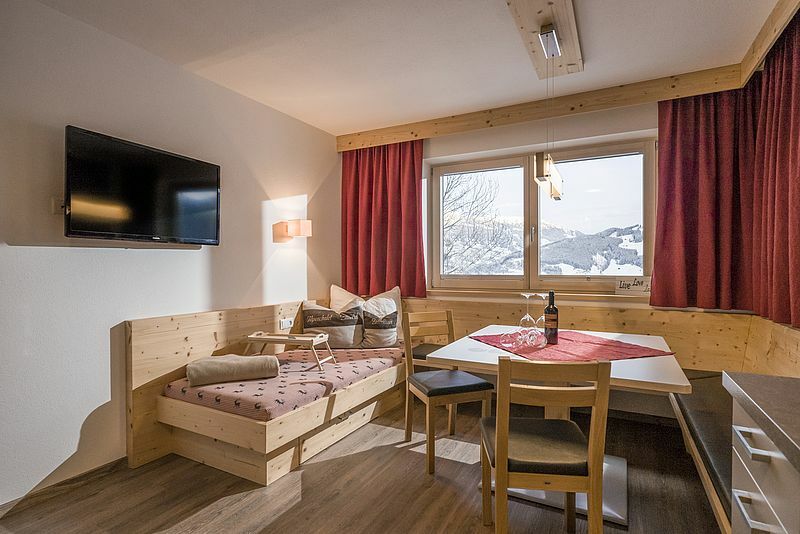 Savor a beer or glass of wine sinks peaks, you are suddenly enveloped in darkness, and you can start dreaming – before you even go to sleep.